Cracking a whip on 'Wilful Defaulters', SEBI has decided to bar them from raising public funds through stocks and bonds, and also from taking board positions at listed companies. 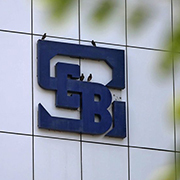 SEBI has also decided to bar such defaulters from setting up market intermediaries such as mutual funds and brokerage firms. These defaulters would also not be allowed to take control of any other listed company.